The Science of Dogs blogged a series comparing your favorite dog breeds from the 1915 book "Dogs of All Nations" to their present counterparts. 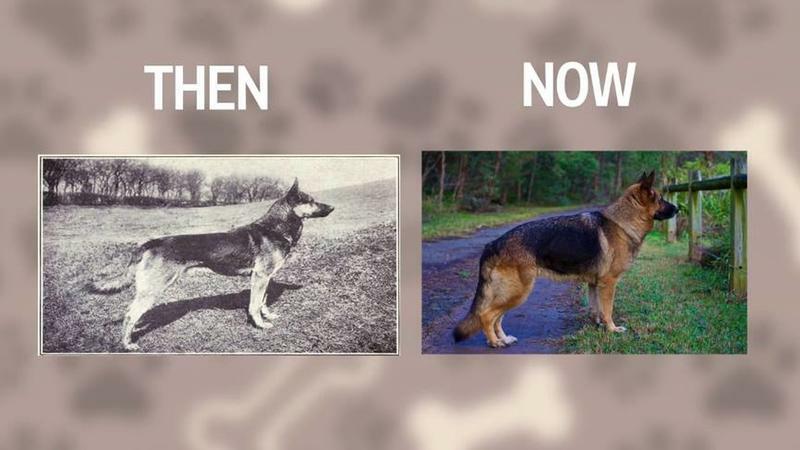 Many dogs have been developed to be more disease prone than before. Can you recognize these dogs? Can you feel their pain? BULLDOG. 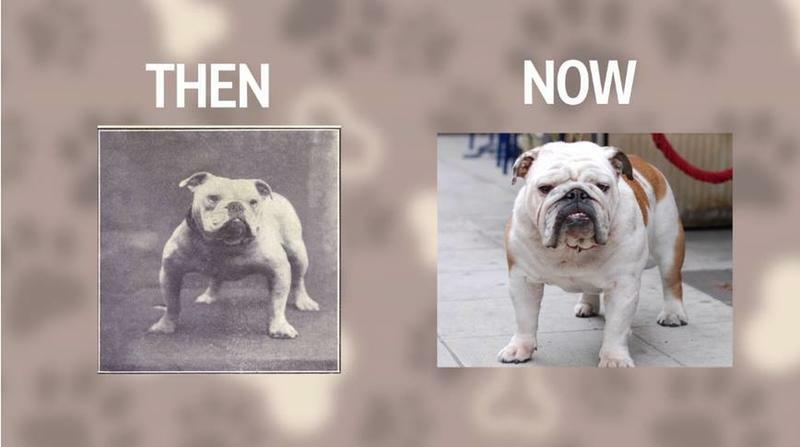 The English Bulldog has suffered a lot due to intensive breeding. They are mostly found to be suffering from every possible kind illness. Until 1835, they were used for bull baiting but with the time, Bulldogs became one of the favorite dog breeds of all time. BULL TERRIER. This stocky fighter breed was first created in the early 1800s with the combination of the old English Terrier and the Bulldog. 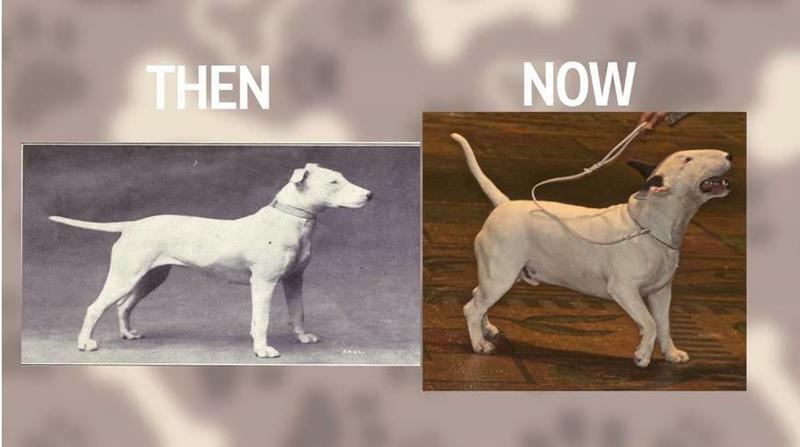 The Bull Terriers had a thin loop body with a curved nose. Due to excessive breeding, this dog has developed a warped skull and a thicker abdomen. DACHSHUND. 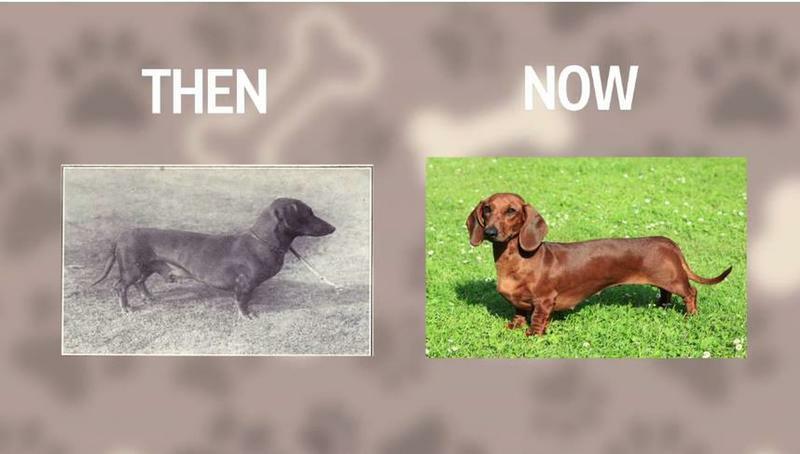 The Dachshunds was developed in Germany around 400 years back. This dog once had a functioning leg with proper neck according to its size. But human love to experiment! Right? Today Dachshunds are the highly risked breed for intervertebral disc disease which can further result in paralysis. GERMAN SHEPHERD. At the time of its development in the 1850s, this canine dog species had a thinner abdomen and a sharper stance than everyone knows today. The German Shepherd was initially developed for herding sheep. SAINT BERNARD. The original Saint Bernand look more like the deceased Asiatic dogs which were once used by the Roman soldiers in their army. A Modified version of St. Bernards have much thicker fur than their ancestors and have broader skulls with a sharp angle between nose and foreheads. They are also prone to entropion, ectropion, Stockard's paralysis, hemophilia and osteosarcoma. PUG. The Pug once also known as Dutch Mastiffs is another dog breed which is prone to health diseases such as high blood pressure, overheats, heart problems and much more because of intensive breeding. 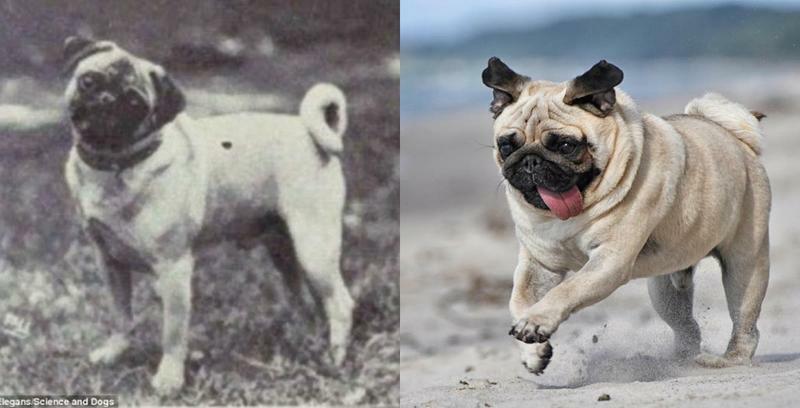 The Pug breed was created from the Chinese happa dogs that were brought and developed over by the Portuguese during the 15th and 16th century.